Manchester United legend Peter Schmeichel has outlined why he believes Ajax goalkeeper Jasper Cillessen would be the wrong choice to replace David De Gea at Old Trafford. The Spanish goalkeeper has been linked with a move to Real Madrid for much of the summer [via Mail Sport], and having been left out for the Red Devils’ opener against Tottenham Hotspur, a switch is looking likely [Daily Mail]. The identity of his successor has been a hot topic at the club this summer. Sergio Romero has been signed on a free transfer, and while he featured against Spurs—and kept a clean sheet—he may be set for a backup role. Victor Valdes might have been another option, but a dispute with Louis van Gaal looks to have put paid to any hopes he had of being United’s number one [Telegraph]. Ajax stopper Cillessen is being lined up as a potential replacement for De Gea, according to the Mirror, although one of the club’s greatest old boys, Schmeichel, has insisted that the Dutch goalkeeper would be the wrong choice. “Cillessen is a good goalkeeper, no doubt about that, but, if you go back to the World Cup. 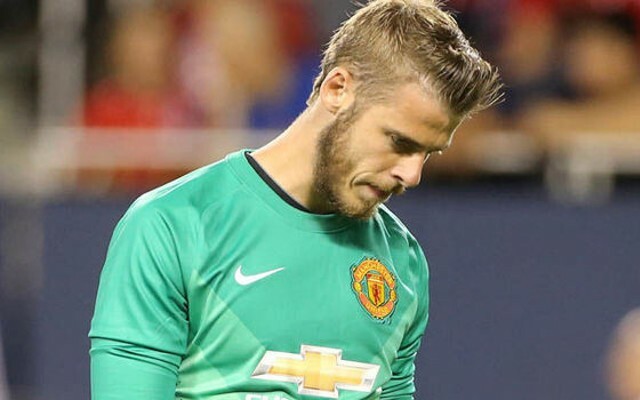 (He is) a goalkeeper he (Van Gaal) took off for a penalty shootout,” the 51-year-old began, as reported by the Mirror. Instead, Schmeichel backed Tottenham goalkeeper Hugo Lloris—who also missed the EPL opener—to replace De Gea successfully, should he be given the opportunity. “I wouldn’t like a goalkeeper like that at Manchester United. If De Gea goes I would love Lloris to come to Manchester United. “He has exactly the style of play and he is proven and that is very important, that he is proven in the Premier League. The former Danish stopper enjoyed eight years at United, between 1991 and 1999, making almost 300 league appearances, winning five Premier League titles and the Champions League in 1999.